Celebrating the spirit of the fall season, Blue Duck Lounge and Blue Duck Tavern at Park Hyatt Washington, D.C., located at 24th and M Streets, NW, are unveiling a collection of new fall cocktails, each highlighting fresh ingredients from the season’s bounty. Fifteen handcrafted libations and two “mock-tails” are being added to the menu each showcasing herbs and fruits, spices, and house-made infusions. 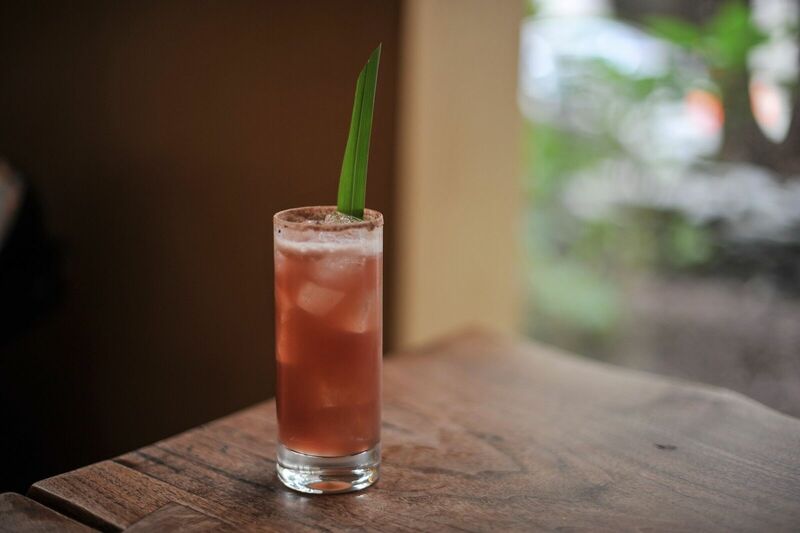 Each cocktail incorporates at least one ingredient or garnish that was sourced directly from hotel’s rooftop garden. These new cocktails were created by Park Hyatt Washington, D.C.. Lead Bartender Cole Burger and will be available through December 31, 2018. The ideal gathering spot, Blue Duck’s 60-seat Lounge and 106-seat restaurant provide a welcoming and festive atmosphere. Newcomers for toasting include the Grape’s Anatomy, Cimarrón reposado, Concord grape maple syrup shrub, Combier and lime juice, garnished with a toasted cinnamon salt rim; This Lil’ Figgy, fig-infused Mellow corn whiskey, fresh grapefruit juice, sumac rooftop honey and salt solution, garnished with a half dried fig and honeycomb; the Beet It, roasted beet-infused Fidencio Classico mezcal, vanilla-yellow chartreuse and toasted sesame Mancino Secco, garnished with dehydrated grapefruit and burnt rosemary sprig; the Gram Worthy, Pluot-infused gin, yuzu, Combier and St. Germain, garnished with dehydrated blood orange and sage; the Sweetie Pie, sweet potato and cinnamon-infused pisco, sweet potato purée, lemon juice, pineapple juice, cinnamon syrup, egg whites and salt solution, garnished with toasted meringue pieces and a pineapple sage leaf; the “App-pear”ently So, apple pear vodka, Calvados, Combier, lime juice, rosemary-jalapeño honey syrup, salt solution and apple pie bitters, garnished with an espelette sugar rim and dehydrated Fresno pepper; the Quiet Desperation, dealer’s choice whiskey, served in a rocks glass or neat, as well as the Tart-y for the Party with cranberry-infused Neisson rhum, ginger liquor, lime juice, green grape simple syrup, ginger mint leaves and salt solution, topped with soda and garnished with a lime wheel and a sugar cane stick. Fall cocktails are priced at $16 each, and garnishes are subject to change. A rotating cocktail barrel-aged in American oak and garnished with a grapefruit twist will also be available for sipping this fall and is priced at $18. During weekend brunch service, guests will also be able to enjoy a selection of eye-opening cocktails. New additions include the Bloody Mary with pepper-infused vodka; the Bloody Maria with roasted jalapeño tequila; the Bloody Belle with honey habanero moonshine, as well as the OMG Is This Pumpkin? with pumpkin spiced cold brew coffee, vodka and condensed milk. Brunch cocktails are priced at $14 each. Additionally, those seeking a non-alcoholic refreshment can opt for Blue Duck Tavern’s new fall “mock-tails.” Priced from $9-$10 each, the Green Grape Soda is made from a combination of lime, green grape simple syrup, green grape soda and soda water, garnished with two green grapes and the Mango Pineapple Soda is made from a combination of mango purée, pineapple juice and lemon-lime soda. Located in the Park Hyatt Washington, at the corner of 24th and M Streets, NW, the dining room of Blue Duck Tavern is open for breakfast, lunch and dinner daily - breakfast from 6:30 AM to 10:30 AM; lunch from 11:30 AM to 2:30 PM; dinner from 5:30 PM to 10:30 PM on Sunday-Thursday and 5:30 PM to 11:00 PM on Friday-Saturday; and Saturday & Sunday brunch from 11:00 AM to 2:30 PM. The restaurant has seasonal outdoor seating for 45 guests, a semi-private dining room for up to 12 guests, and a Chef’s Table situated adjacent to the open kitchen seats up to 20 guests. Reservations for Blue Duck Tavern may be made by calling (202) 419-6755 or by visiting www.blueducktavern.com. Park Hyatt Washington, D.C. combines dynamic modernism with classic American style. Located in the fashionable West End Georgetown neighborhood, near Embassy Row and the Smithsonian Museums, Park Hyatt Washington affords guests convenient access to shopping, dining, and cultural attractions of the nation’s capital. With 220 guestrooms and suites, a Tea Cellar offering rare and vintage tea selections, and an intimate Spa Room, Park Hyatt Washington provides a truly unique experience. The hotel is home to the Michelin-starred restaurant, Blue Duck Tavern, an elegant neighborhood tavern offering menu selections focusing on the freshest ingredients available from regional purveyors. Park Hyatt Washington offers flexible meeting and event space, The Gallery, with seasonal catering. To make a reservation for Park Hyatt Washington, D.C. in the U.S. or Canada, please call 1(800) 778-7477 or visit www.parkhyattwashington.com.